I have some fun posts to share with you for this week's Frugal Round-up, so let's get right to it! 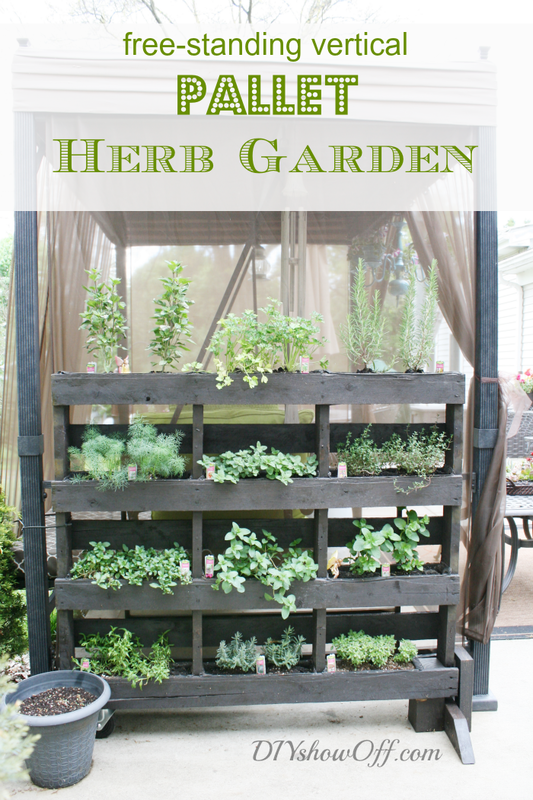 First up, check out this adorable free standing pallet herb garden linked up by Roeshel of DIY Showoff. It's so clever! 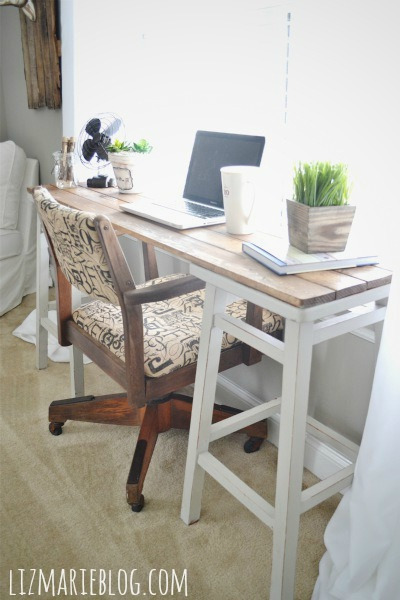 Speaking of clever, Liz Marie Blog shared a great desk that she made out of bar stools. Love this idea! 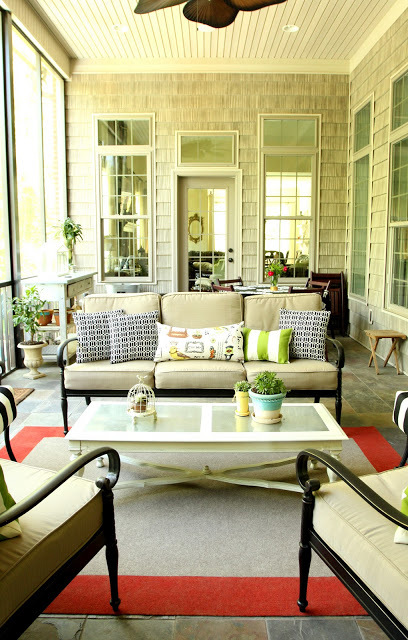 Finally, Less Than Perfect Life of Bliss shared her porch makeover. I love the colors and the happy feeling of this space! Thanks so much for hosting each week :) Love that front porch! Thanks for featuring my porch, Wendy! Love all these projects! That moveable herb garden is amazing isn't it? Have a beautiful Memorial Day Weekend! I hope you get warm Spring weather there in your part of the country! Thanks so much for hosting...have a great weekend! Thanks for having me today, love checking out what's going on! Thanks so much for hosting every week, Wendy! Such a great place to link up. Happy Memorial Day weekend! Thank you and have a great Memorial Day weekend! LOVE every feature... off to read all about them! Wendy, great features. I want to sit on that porch! Thanks so much for hosting. Have a beautiful weekend! Thank you for hosting the party! Happy Weekend! Thank you so much for the fun party! I love your site!